My ideal up side target has been 3,000+/-, but risk increased once the minimum up side target (new highs) was reached. 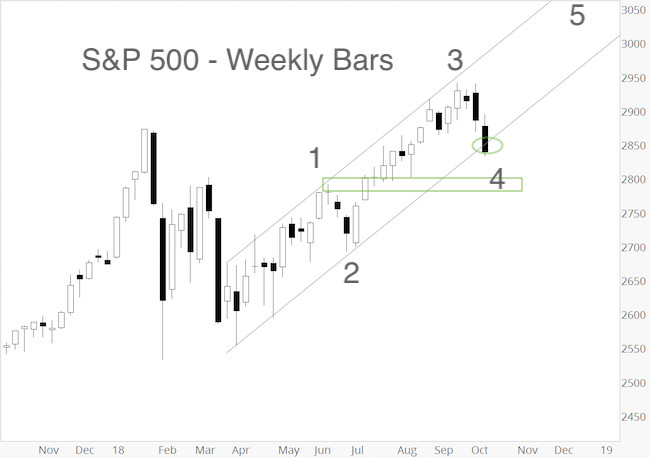 Obviously the S&P has already reached 2,850, and is now over-sold, and just above Fibonacci support around 2,830. Another area of support (based on Elliott Wave Theory for a diagonal) is the June 13 high at 2,791. While in that range (2,850 – 2,780), the S&P can (and I think will) still find support for a year-end rally to 3,000+/-. 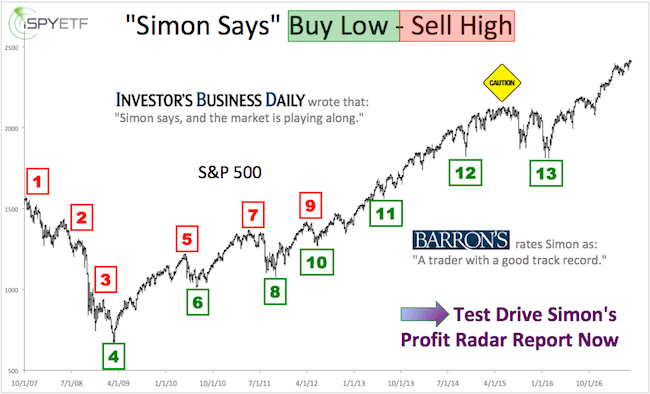 Of course there is a chance that the September high marks a more significant top with down side targets at 2,600 – 2,200. 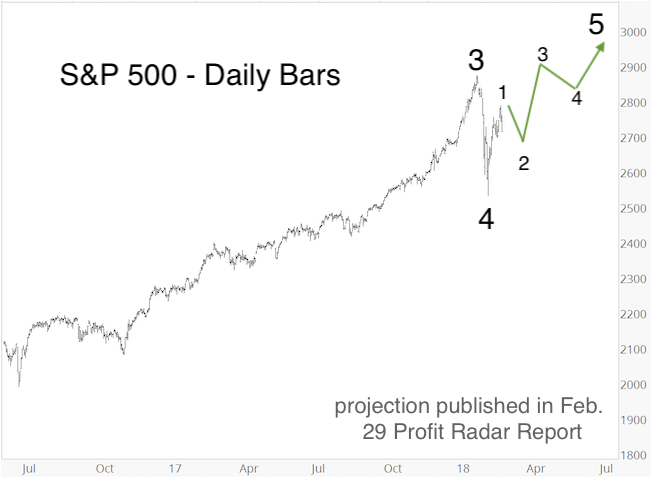 We will likely reach those down side targets eventually, but a prior attempt to take out 3,000 would conform to seasonality, take out premature bears, and allow some of those bearish divergences to mature even further and set the stage for a bear market. The months ahead should certainly be exciting!